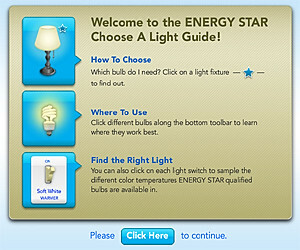 How Many Light Bulbs Does It Take to Change the World? Want to live with other students who share your concern for the planet? The Sustainably Conscious Living Community at Ithaca College is your opportunity to meet like-minded students, while exploring your commitment to sustainability. Just as platinum is among the most precious of metals, platinum certification is the most valued of LEED (Leadership in Energy and Environmental Design) benchmarks set by the U.S. Green Building Council (USGBC). The recently opened Dorothy D. and Roy H. Park Center for Business and Sustainable Enterprise has just become the first facility for a college or university business school in the world to attain that standard. Numerous innovative features in the building's design and operation help reduce its overall carbon footprint and make it the most visible of current sustainability initiatives at IC. The Ithaca College campus has also garnered national attention for successfully implementing comprehensive resource management programs such as office paper recycling and state-of-the-art composting of dining hall food waste. “It is our goal to become one of the nation’s leading proponents of sustainability, to practice what we preach, and to produce leaders in many field who will find solutions for meeting the needs of their generation without shortchanging future generations," said former president Peggy R. Williams. Take advantage of Ithaca’s annual Take It or Leave It program. The Resource and Environmental Society (REMP) and the Ithaca College Environmental Society (ICES) place collection bins in all residence halls where residents can deposit usable stuff they no longer want. Some things include: room decorations, linens, posters, school supplies, appliances, equipment, non-perishable food, cleaning items, and clothing. Be sure to look through the bins before REMP and ICES do their final collection and donate the leftovers to charitable organizations. You can also check out Craigslist or Freecycle in your area to see if there are any items like beds, desks, or lamps that you can pick up for free. Before settling in to your new room, consider getting to know your roommate(s) and talk about things to bring. You really only need one TV, one DVD player, one microfridge, and one rug. Not only are you conserving energy by not having multiple things, but you’re also avoiding unnecessary clutter. More room for friends and decorations! Think your flannel sheets and hand towels are harmless? Think again. Conventional cotton is to blame for up to 25 percent of the insecticides used worldwide. Some alternatives: 100 percent organic cotton or bamboo sheet sets, organic cotton comforters, and recycled polyester-filled pillows. Always look for that organic cotton alternative! 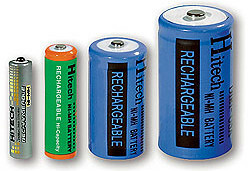 NiMH batteries are cheaper in the long run and better for the planet than ordinary batteries. So you’ll probably be schlepping your TV, DVD player, MP3 player, and laptop to school. An efficient way to use your appliances and charge up your high-tech gadgets is to plug them into power strips that you can turn off while you’re gone. And don’t forget about your calculator and TV remote. Even if they are a little more expensive, NiMh rechargeable batteries are worth it in the long run. They have a much longer life than disposable batteries and are way better for the environment. Not only are you saving money but you’re also reducing carbon emissions. Halogen may seem like your best bet -- cheap, luminous, and compact, but they are also prone to causing fires, so they're not allowed in dorm rooms. 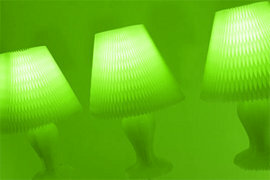 Look for compact fluorescents when shopping for lamps and energy-saving light bulbs when replacing old bulbs. Even school supplies like pens, papers, and backpacks have greener options. Choose processed chlorine free (PCF) paper, avoiding releases of dioxin and mercury in the bleaching process, and the highest percentages of recycled post-consumer waste (PCW) available. Be sure to check out the new backpacks made recycled plastic bottles, cotton, jute, and wool.You can even find more eco-friendly pens and pencils. While water is a necessity, lugging a 20-pack of water bottles to your room every week is not. Make a one-time investment in a reusable, unbreakable Nalgene or stainless steel water bottle. Don’t believe everything you hear; tap water is definitely drinkable. And when you drink water from a packaged bottle, you’re also drinking some of the plastic. One of the best things about Ithaca is the local shops full of organic and fair trade items. Support local farmers and visit the Farmer’s Market on the weekends or the GreenStar Cooperative Market. Opt for local coffee shops like Gimme! Coffee that offer fair trade and organic options. And check out the unique crafts and household items at Ten Thousand Villages on the Commons -- one of the world’s oldest and largest fair trade organizations cultivating trading relationships in which artisans receive a fair price for their work and consumers have access to distinctive handcrafted items. Yes, you can be thrifty and chic. Look for unique frames and artwork at local thrift and craft stores in downtown Ithaca. Or make your own decorations: take pictures and words from old magazines or collect bottle caps and make frames or collages. Hang photos of family and friends on an inexpensive clothesline or make one out of a rope. Be creative and use unconventional things for your everyday décor like a flower pot with a new coat of paint can become your pen holder. An old Coke bottle can be a great vase. And look for rugs and curtains made out of organic cotton or hemp. Watch this silent video to see how you can use two soda bottles to make "a very useful item." Instead of lugging all of your stuff in endless plastic bags or shopping bags, try borrowing luggage and duffle bags from your family to haul your clothes in and then later store out-of-season things. If you must, opt for cardboard boxes instead of bags; boxes can be broken down and recycled. And if you’re looking for long-term storage, choose PVC-free bags and containers; cardboard can attract roaches and PVC can discolor clothing and linens. Also, consider packing in all of your dorm room needs into a nearby storage facility instead of weighing down your car and spewing out even more greenhouse gas emissions. All of these little things add up. Make your dorm room greener and you’ll help the environment while getting tons of compliments!